Viknesh Vijayenthiran November 20, 2016 Comment Now! 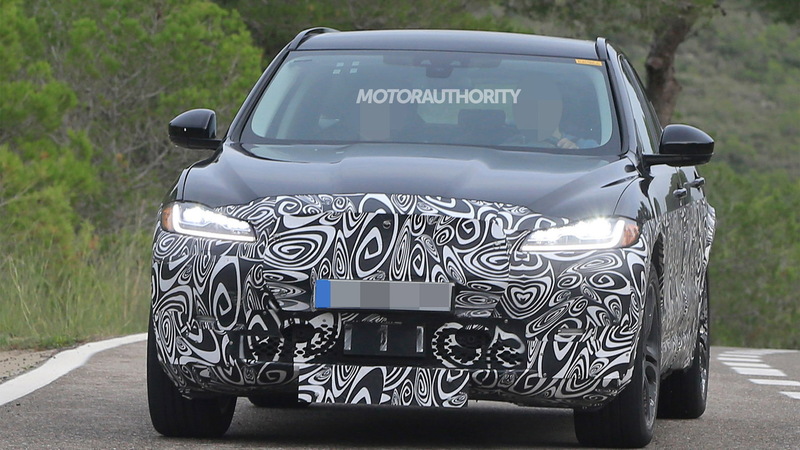 Within days of Jaguar unveiling its I-Pace electric suv concept at the 2016 Los Angeles auto show, a test mule for the production version has been spotted. This isn’t the first time that we’ve seen the test mule but now we have a rough idea of what the final design will be like. We also have confirmation that the launch will be in the second half of 2018, suggesting the I-Pace will arrive on the market as a 2019 model. 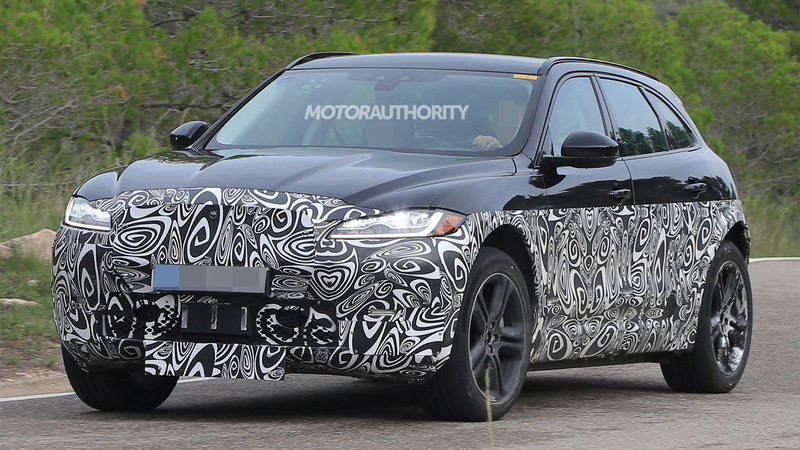 The test mule is hidden beneath the body of an F-Pace SUV. On closer inspection you’ll notice the grille opening at the front is a different shape and there are no longer air vents at either side of the front bumper. The wheelbase has also been stretched, the track widened and the roof lowered. Jaguar says the platform of the I-Pace is unrelated to that of the F-Pace. In fact, production will likely take place at a separate plant, possibly even outsourced to Magna Steyr of Austria. The platform features the now familiar “skateboard” design where a flat battery sits in the floor and powers electric motors at one or both axles. The I-Pace is expected to feature a 90-kilowatt-hour lithium-ion battery, a pair of 200-horsepower electric motors, and a range of 220 miles. To help hone its electric car technology, Jaguar is competing in Formula E with the I-Type electric race car. Some performance estimates for the I-Pace include a 0-60 mph time of 4.0 seconds. The I-Pace is thought to be one of two electric cars Jaguar is planning for the coming years. 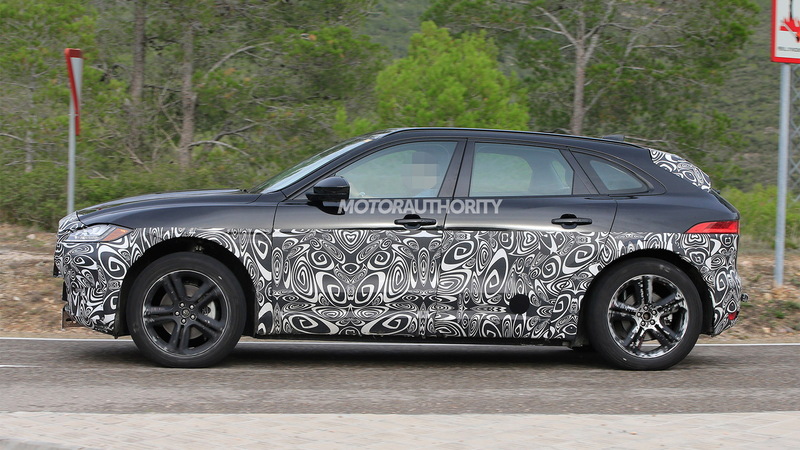 The other is a sedan thought to be coming with a sleek, coupe-like design, allowing Jaguar’s next XJ to take on a roomier, more conventional three-box design. The sedan will rival the Tesla Model S as well as a similar electric sedan planned by Mercedes-Benz and a possible electric version of the next Audi A7. It was only in 2015 that Jaguar and sister brand Land Rover unveiled a series of technology demonstrators that came in mild hybrid, plug-in hybrid and electric flavors. The plug-in hybrid and electric demonstrators were based on Range Rover Sport SUVs, while the mild hybrid setup was based on a Range Rover Evoque. However, since then, we've heard Jaguar is to focus on electric cars while Land Rover focuses on hybrids. 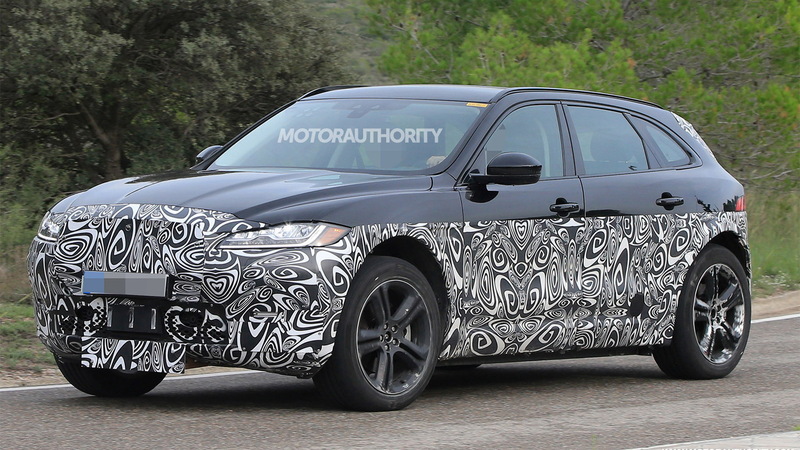 Note, Jaguar is also working on an SUV smaller than the F-Pace. 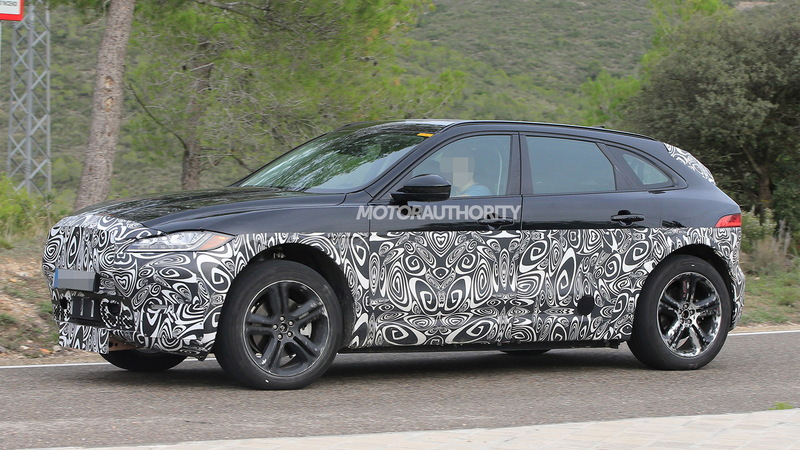 This one has also been spotted in test mule form and is thought to be called the E-Pace.